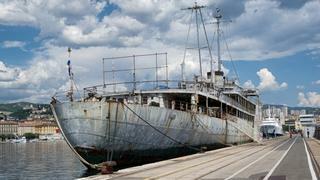 The yacht used by Marshal Tito when he was leader of Yugoslavia is to be turned into a museum after a lengthy battle that saw her fall into disrepair. After Tito's death, ownership of yacht Galeb (which means seagull in Croatian) was transferred to the Montenegrin government following the break up of Yugoslavia. It was sold to Greek billionaire John Paul Papanicolaou, who owned Christina O, but was seized by the Croatian government over a decade ago after he failed to cover berthing costs. 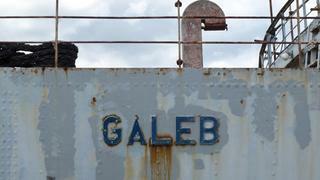 When Galeb was to be auctioned by the state a decade ago, she was asking £85,000 as the starting price. Had she been sold as scrap, she would have fetched at least £155,000 – but her cultural heritage status meant she had to remain intact. Her owner, Papanicolaou, objected to this and took the case to the Supreme Court. 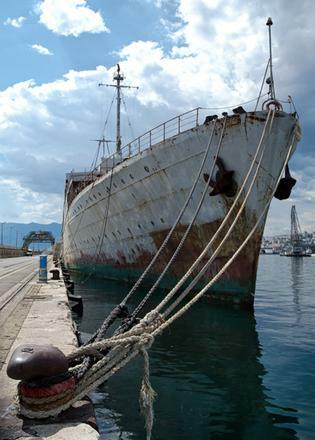 Over 10 years later, she was bought by the city of Rijeka, which recently announced plans to turn her into a floating museum at a cost of £8M. Galeb has a lot of cultural importance. When Tito was at the helm of the Yugoslav state he was said to have enjoyed the trappings of his position, of which Galeb was a manifestation. The ship was built in Genoa in 1938 and started life as an auxiliary cruiser under another name. Fast forward a few years and she became a school ship for the Yugoslav navy after she was refurbished following bombing damage in the Second World War. It was at this point Tito commandeered the ship for his personal use on state matters. Tito is said to have entertained over 100 world statesmen and women on board Galeb, some of whom, such as Colonel Gaddifi of Libya, time has dictated, will occupy a historical rogue’s gallery. Tito was not averse to a touch of Hollywood glamour, too, as he welcomed Elizabeth Taylor and Richard Burton at the height of their fame. Galeb also graced the Thames, mooring at Greenwich, on Tito’s state visit to the UK in 1953, the first by a communist leader.